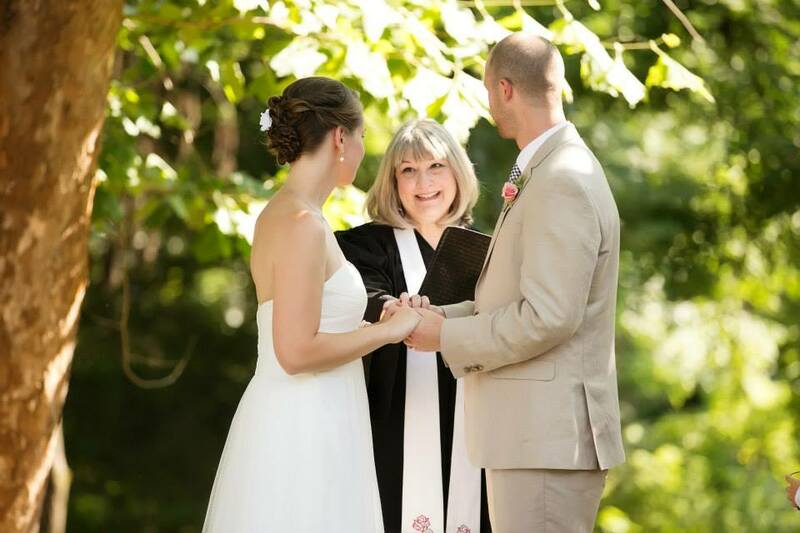 An Award-winning wedding Officiant, Reverend Nagy is also a Certified Pastoral Counselor/Spiritual Director, Motivational Speaker, Author, Meditation Coach, and Spiritual Teacher. She has led two congregations in the past 22 years: New Directions Community Church where she was the founding pastor, and most recently as Senior Minister/Spiritual Leader of Spiritual Light Center of Charlotte, where she is now Minister Emeritus. 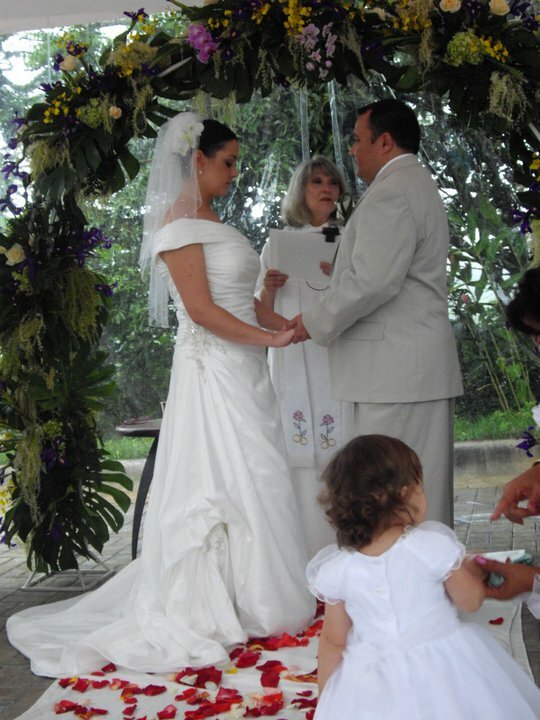 Rebecca is committed to working with couples to ensure that each ceremony is unique to them, and reflects their faith traditions, customs and personalities. 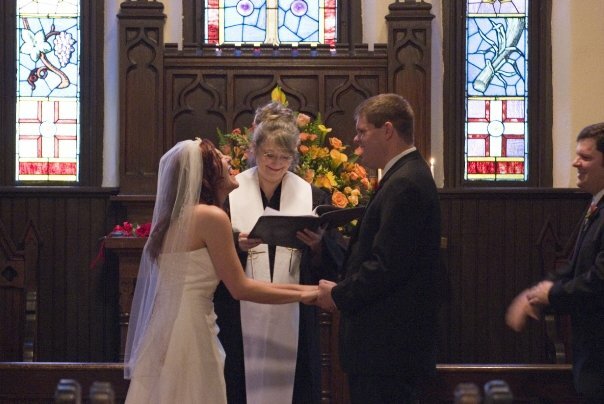 As a professional speaker, Rebecca has spoken to hundreds of audiences and written and officiated over 2700 weddings. She has also been profiled in local, national and international media, and appeared on radio and TV talk shows. Rebecca spent the first 25 years of her career in the fashion industry, where she was a Fashion Director, Merchandiser, Fashion Designer (Watters and Watters, Jaclyn Smith, Focus Apparel) and Divisional Private Brands Manager for Divisions of Federated and May Co. Department Stores, Lord and Taylor, Kmart International, and Belk Stores Services. ​After graduating from Sancta Sophia Seminary in 1996, she chose to leave her fashion career to pursue her ever-growing wedding ministry, professional speaking and teaching vocations. Rebecca is a graduate of The University of North Carolina-Greensboro and Sancta Sophia Seminary. 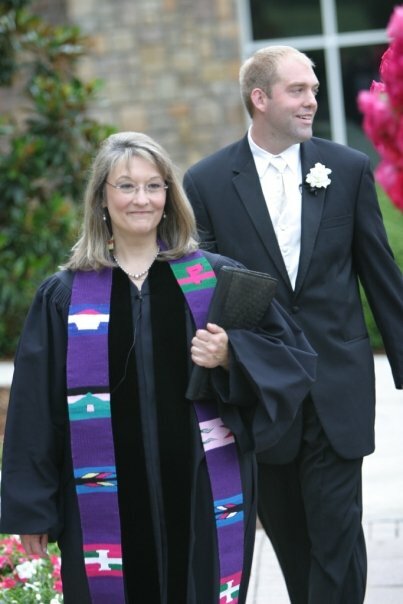 She has served on the boards of NACE (The National Association of Catering and Event Professionals), Light of Christ Community Church, Spiritual Directors International, and the Board of Governors of Sancta Sophia Seminary. She has also been an active member of NSA (The National Speakers Association), IONS and The Monroe Institute of Applied Sciences. As an Interfaith Minister, I am well-versed in comparative religion and the customs and traditions of most faith traditions. As a professional speaker and published author, I bring years of experience to ensure your wedding will be meaningful - and memorable!